Having a truck means you’re probably using it to haul items for weekend projects, loaning it out to friends who are moving or packing it full of tools and supplies (if you use it as a work truck.) The 2017 Chevy Silverado is known for its versatility and there is a reason why it comes with so much space. Depending on the model you choose, you’ll have anywhere from 53 to 76 feet of cubic space in the bed alone. Even if you don’t consider yourself an organized person, it makes sense to think about truck storage since items tend to move around and it can be hard to locate these items if you don’t have a system in place (especially when you’re in a pinch!) Below we have listed some great ways to utilize your truck’s space and make the most of every nook and cranny. 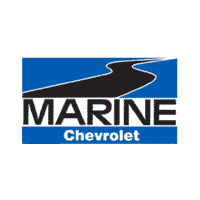 If you have any questions about storage ideas or accessories, our team at Marine Chevrolet Cadillac can help get you started. Thankfully, Chevrolet offers a variety of accessories to help make the most of your truck’s bed space. To secure items in the bed of your Silverado, choose a Bed Net. The Bed Net consists of heavy-duty shock cords that stretch across the entire width and length of the truck bed to keep items from flying out. You can also expand your cargo capacity with Bed Extenders. Bed Extenders come in handy when you’re needing to load or haul items that exceed the size of your truck bed. Extenders come in many shapes and styles depending on the type of oversized load you are trying to secure. Another great option to help keep items in place is a bed liner. At Marine Chevy, we offer high quality TOFF spray in bed liners. The texture of our bed liner is designed to prevent items from shifting while the truck is in motion AND to protect the bed from every day wear and tear. You may have less space inside the cab of your truck, especially once you add a few passengers, but there are also some noteworthy ways to maximize cabin space and stay organized. Help keep your important documents and maps organized and protected in your Silverado HD with the Front Center Console Expandable Tote. It hangs in the front console like a file folder, keeping you organized on the road. With this handy organizer documents and small items are easily accessible and organized. Every inch counts inside your truck and that includes the often forgot about space hidden under your back seats. The Rear Underseat Storage Organizer is a smart choice to keep items handy, secured, and out of sight all while keeping the seats completely functional. This organizer is a great solution for sports gear, tools, extra jackets, gloves and more. So there you have it, take back the reins and get your truck organized from bumper to bumper! These solutions will help you in the long run. Whether it’s handing over that professional looking piece of paper that you just pulled out of your console, confidently telling the Lowes representative, “Yes, it will fit in the bed of my truck,” or the smile on your passenger’s face when they have room to place their feet in the back seat without stepping on anything; it will be worth it.